Right now over 70 percent of people are living paycheck to paycheck. This means about 7 out of 10 of your friends, neighbors, family, or maybe even yourself are living a game called: “Can we make it until next payday.” What is even more shocking is a recent article by CBS Money Watch found that about ⅓ or households earning $75k or more are living paycheck to paycheck as well. Houston, we have a problem here. The point is this: It’s rarely an income problem. They’re Not Living on a Budget. Knowing what I know now, I feel going through your entire life without a budget would be like driving a car without a fuel gauge. If you’re not doing a budget, how can you possibly track where every dollar goes in your life? How could you identify areas in your life where you are overspending and how could you keep your overspending in check? Here is the short and simple answer: You can’t. Boo! Did I scare you? No, of course not because it wasn’t scary at all. Well, the same also goes for budgeting. There isn’t anything in there that is going to scare you or make you pee your pants. However, you are probably going to be a little shocked when you finally see what your money has been doing (or not doing) as soon as you finish your first real budget. I remember setting up our first budget and I truly started to believe that we were helping keep Home Depot and Target in business! We also helped support Costco, Nordstrom, Macy’s, Chipotle, Starbucks, and shoe designers from all over the world! It was definitely shocking, but it wasn’t ever scary. Penny has 5 apples. She is hungry and eats 1 apple. How many apples does Penny have left? If your answer is 4 apples, then breathe a sigh of relief….you have the skills to do a budget. When we were all wearing diapers, we were allowed to crap in our pants and walk around in it. Why? Because it was considered acceptable and most importantly – someone else was going to clean up our mess. However, you are well beyond pooping in your underpants because you are now what we call an “adult”. Whoo-hoo!! This also means, no one else is going to be cleaning up your mess later on. If you go through your entire life and spend frivolously because you wanted it now and weren’t willing to save up and actually pay for it, there isn’t going to be anyone to clean up your mess. Also, don’t rely on the government to take care of you because they can’t even take care of themselves. They are too busy paying back $18.2 trillion worth of debt. When you first do a budget, it may take 1-2 hours to create because you have to go through bank statements, past bills, and sitting down with your spouse to talk about money. The absolute worst case scenario – 2 hours the first month. The next month it will take half the time. The third month, it takes less than 30 minutes. 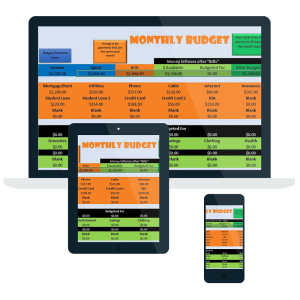 Sooner or later you will find it takes 5-10 mins a month to create a budget. The average adult watches 140 hours of television per month. No excuses. 6. I Will Start Budgeting After…. Putting a delay on anything in life is simply creating an excuse to delay the inevitable that you are never really going to follow through. I know because “I am going to start training for a marathon ________” I have been saying that for about four years now. If you are planning to be paycheck to paycheck for the rest of your life and live on Spam and rice when you retire, then you can start budgeting after……. However, if you have a plan for true financial freedom, go ahead and grab a pen and fill in the blank: I Will Start Budgeting After _________ (Right Now is a great fit for that blank). 7. I Already Do a Budget. I Keep Track of Everything in My Head. Mortgage, Groceries, HOA fees, Gas, Utilities, Cable, Car Payment, Credit Card Payment, Daycare, Gym, Dining Out, Karate Lessons, Auto Insurance, Student Loan, Car Payment, HELOC, another Student Loan, Cell Phone, Life Insurance, Credit Card Payment, Savings, Coffee, Lunch, Clothes, Diapers, Landscaping, House Cleaning, School Field Trip, Tuition, Birthday Gift, Investing, Auto Repair, Hair and Makeup, Tithing, Rent. Yeah, keeping track in your head should work out just fine. You know what will out perform budgeting in the boring category? Sitting in a chair from the day you retire and watching all day reruns of Judge Judy because the only thing you can afford to do is stay put (and watch Judge Judy). I think putting gas in my car is boring, however I would rather be bored a few minutes a month than push my car to the next gas station. Plus, I drive an SUV and they’re pretty hard to push. You need a hug because this is where life becomes unfair. The truth is, it is a little harder to do a budget on irregular income than on a fixed income. However, you can absolutely still budget when your income is irregular. There are a few different ways you can set up your budget on irregular income. 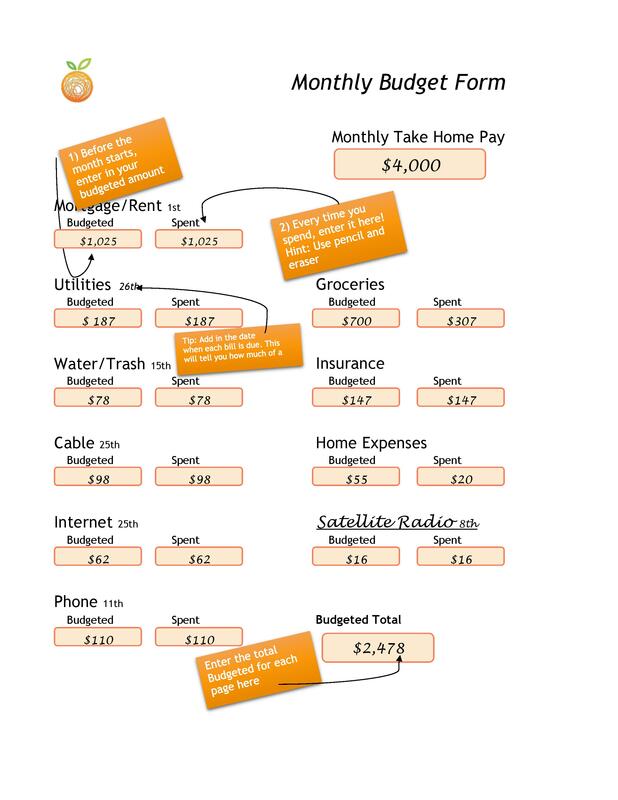 Here is a post we put together that shows you how to budget when you income is never the same. Look, I am an expert on budgeting excuses because I used to use all 10 of them. It took our family getting our card declined at the grocery store to finally wake up and realize we were being stupid with our money. I am here to help you avoid the painful feeling and embarrassment when the cashier tells you your card has been declined and you have to leave your groceries at the checkout because you can’t do 5th grade math. When we were starting our journey towards financial freedom, there wasn’t Money Peach to give me a free budgeting form and how-to lesson. We rolled up our sleeves and just starting making things up. Some things failed miserably, but a lot of it worked very very well. Now, I get to share what works so you can get going in the right direction NOW. 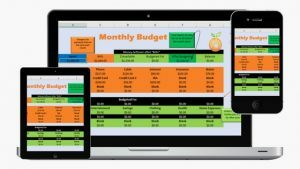 Here is your Free Budget in both a PDF printout and Spreadsheet version. Take it, use it, and start controlling your money instead of it controlling you. 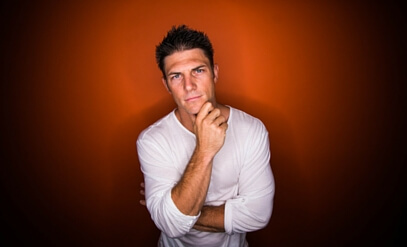 I promise if you create a budget and stick to a budget, life gets better….and better….and better. Need Some Ideas on How to Save & What to be Doing with Your Money? 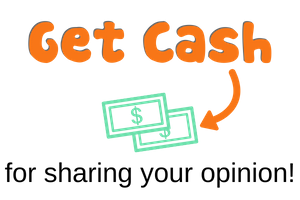 Check out our latest posts on How to Save, Where to Save, and How to Better Manage Your Money! Great post! I hear many of these excuses frequently. It’s really surprising to me that people so wildly overestimate the ‘costs’ of budgeting (a little time and effort? emphasis on little) while underestimating the benefits. I think the reason-behind-the-reason that I detect the most in the population I work with (grad students) is that budgeting for a low income is depressing (and futile). BUT I think the outcome of not budgeting is even more depressing! The act of budgeting itself gives you power and a sense of control over your life. Yes! 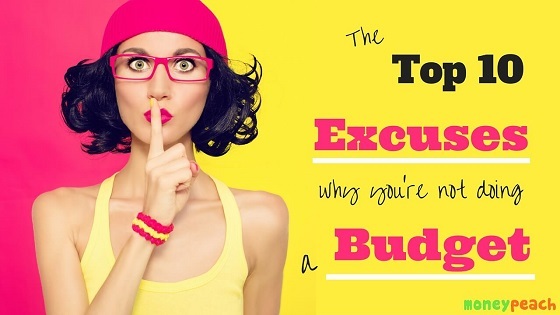 There are so many excuses for why people don’t budget, but the truth is that budgeting actually makes it easier to spend money on things you want because you know exactly how much money you have left for those fun purchases every month. Good reminder that “It’s rarely an income problem.” Mindset affects how we spend, and an attitude that says “I deserve it all” will sabotage the future. Thanks Sally! It was a reminder I wish I would have received years ago, but it’s always better to start NOW then never.